Upgrade time. Wow! Nice ride Ron… time now to enjoy an abundance of college football! Congratulations and welcome!!! 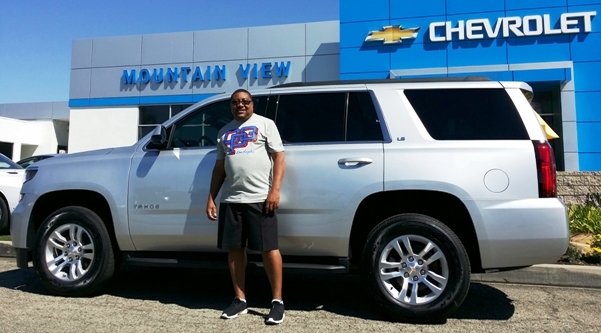 Categories: Customer Gallery | Tags: Congratulations on you new Tahoe, Enjoying College Football from your Tahoe, Mountain View Chevrolet, Upand | Permalink.